The majority of estate agents will charge a percentage of the property sale as their commission. This can be anything between 0.75% and 3%, although some agents may offer you a fixed fee. Aim to get a fee that is 1% + VAT for a sole agency contract. Coppenwall is different, we don’t charge a % commission! we just charge a fixed fee. Get a free property valuation. One of the biggest things to ask, is whether the estate agents fees are inclusive of VAT, or whether you will need to pay an extra 20% on top of their quoted commission. If the agent does not say upfront, make sure you check before you agree to market with them. Some online agents also offer very low fixed fees, but charge for extras.  Always check for prices for the sale boards, viewings, photography, Energy Performance Certificates, and whether you have to pay extra if you use your own solicitor. Most estate agents require a contract tie-in period of between 4 and 20 weeks, with 0-4 weeks notice – anything over this, is unnecessary. If you are not happy with the contracts terms, make sure you negotiate until you are comfortable. You do not want to be stuck with an estate agency you are not happy with. Think carefully before agreeing to these contractual terms. The estate agent is the only one allowed to sell your property, and you will have to pay the agent, even if you find your own buyer. You should never sign this type of contract. It basically means you will have to pay the estate agency, even if you decide not to sell. You can use several agents, and you only pay commission to the one who sells your property, although you may be quoted higher selling fees from all parties. The benefit to this is you have more agents listing the same property, so has a larger reach. This is the same as sole selling, but if you find your own buyer, you won’t have to pay anything to the estate agent. There are several major listing sites, these include: Rightmove, Zoopla, Onthemarket, and Nethouseprices.  Make sure the estate agent you are instructing is listing on Rightmove or Zoopla as these are the biggest players, although Rightmove, statistically has more viewers online per month than any other platform. This is Coppenwall’s preferred selling platform. Once you are happy with everything, this is the time to agree to instruct your chosen estate agent. If you have any further questions, give us a call at Coppenwall Estate Agents.